Braces is the best photo editor application to add braces to your photo! Braces application allows you to turn any of your photos into photo with Braces on your teeth and make people look funny with braces. Braces makeup is very easy to use 1. Take a new photo or select one from your gallery on which you want to add braces 2. Select the barces using Braces makeup tool 3. Select other funny braces stickers which you want to add to the photo 4. Share your photos with braces with your friends and family in Facebook, Instagram, Twitter, WatsApp and other social networks. 5. Add braces to your friends photos! 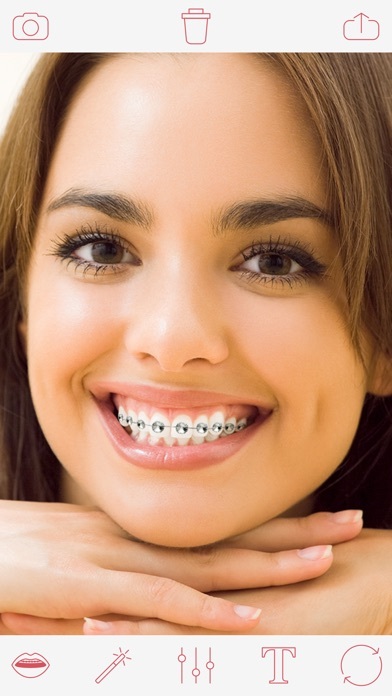 Braces application contains different barces types * Gold braces * Man braces * Woman barces * Funny braces * Glamour braces * Hipster braces Also you can adjust every braces photo aspect * Lot of customized magic mirror effects. * Brightness * Contrast * Saturation * Blur * Temperature * Shadows/Highlights * Crop * Focus Enjoy and have fun with Braces application!